ALAX, ALX, has been around since 26/06/2018 and operates independently of a reserve bank or single administration. It is not a mineable decentralized virtual currency, so in order to obtain ALX, you must buy them via a cryptocurrency exchange. It follows the proof of work (pow) consensus and the Delegated Proof of Stake (DPoS) algorithm. To stay up to date with ALAX, they can be found on Twitter, Reddit, Telegram and Facebook. 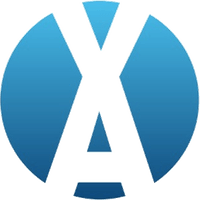 We don't have any exchanges listed for ALAX yet, check back soon! We don't have any wallets listed for ALAX yet, check back soon! We don't have any debit cards listed for ALAX (ALX) yet, check back soon! We don't have any price charts listed for ALAX yet, check back soon!